I really didn't know what to expect from this book. On the surface, it seemed like it was going to cover some themes that are starting to become a little well-worn in the sci-fi genre - the ethical implications of our technological advances, the very real way in which space-faring crews are cut off from humanity, etc., so I was hesitant. OK, so it did cover those themes, but wow, it did so in such an inventive and interesting way. The ways in which cloning impacted society in the book were at once plausible and thought provoking. The "trapped with a killer" aspect was well done and kept me guessing until the end. There was just the right amount of dry humor to light up the characters and make the suspense and unease more effective. Also, the pacing was really good. 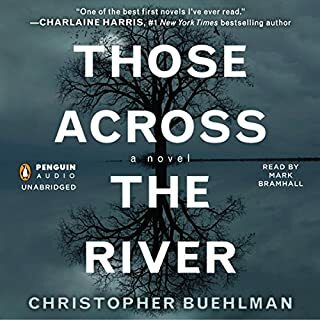 This book felt "just right" in terms of length and progression - I never felt like I wanted things to just move along or like things were hand-waived away without adequate explanation. Given what I have come to find out about Mur's background in podcasting and the like, her great narration of her own work is less of a surprise than I originally thought it was. Characters and their motivations are well conveyed by the performance, but it's not over the top, which is something that can sometimes ruin a good listen for me. Can't recommend this one enough. I will be looking for more of her work. If you're like me, you frequently find yourself reading a book (or watching a movie) and yelling at the book (or the TV), "Just tell the truth!" Many authors introduce tension by having their audience bear witness to a lie as it goes terribly wrong, with the audience powerless to stop it. 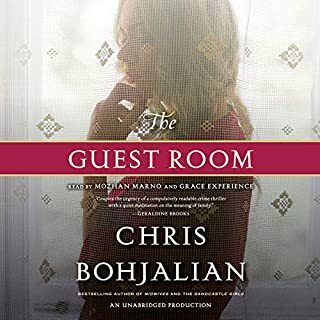 What elevated this particular book from merely OK to a four star listen for me was the exploration of what happens when someone [mostly] tells the uncomfortable truth. Currently, I'm about half way through this book. 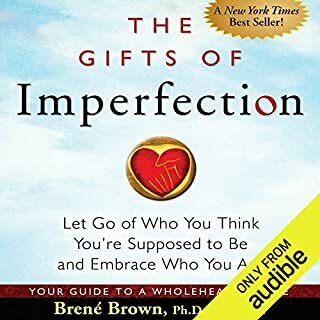 I did enjoy it up until that point, and a lot of Brene's insights really resonated with me, as a person who struggles with many of the challenges addressed in the book. Then the topic of resilience came up. Without giving too much away, a key trait of resilient people is apparently that they must be "spiritual". Some time is devoted to defining what this means, and while she goes to some pains to make it clear that the definition is not limited to subscribing to some form of organized religion, she makes it clear that spirituality is a bit more than human-kind being more than our individual selves brought together. For Brene, the definition must include belief in a higher power. As an atheist (and by the way, by all accounts a decent, caring, ethical person), I have no option for resilience as described in the book. I think that's silly. At first, I thought I may have missed some crucial point, but the more I listen, the more I am advised that spirituality is crucial to my success. Not being someone who can adopt a belief system purely for pragmatic, selfish purposes, I guess I am out of luck. This is a great story, and many of the reviews already delve into that. 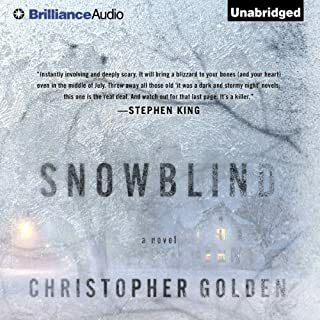 As someone who has avoided certain King audio books in the past due to his being the narrator, I thought I'd write a quick note to say that his narration here is not at all distracting from the story. It's actually pretty good, which I know is a position somewhat contrary to that of others who reviewed this book. King is no professional when it comes to performance, but don't let that put you off this listen! Formulaic, predictable and devoid of atmosphere. It was almost like Rice was ticking off plot elements on a shopping list and working them into the story so he could meet his quota. 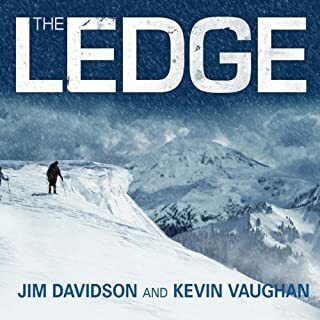 The premise was a bit strained, and due to the lack of character development needed to coax the characters into helping my suspend my disbelief, I never did find this one riveting or scary. The performance was good, given what the narrator had to work with. 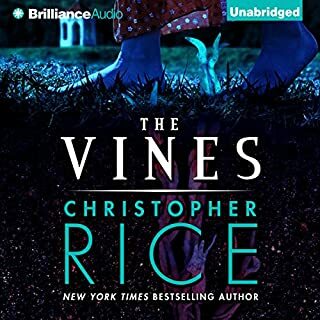 I'm giving the story two stars instead of just one because Rice knew enough to not make this into a 12 hour epic listen. It's a good thing it was short! This certainly wasn't an unenjoyable book. 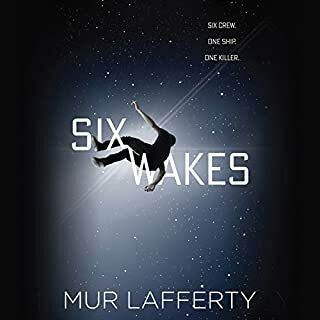 It had its moments - there's some action, there are some tense moments, and so on, but ultimately this book is supposed to be a mystery, and there it falls short. I'm pretty sure your average reader would have this figured out roughly half way through the story, at least to the point where he or she is just waiting for the minor details to be revealed. There's a little too much conventional content in the book - the torturer conflicted about what he has to do; the self serving bureaucrats; the penniless serfs. It all seems a little tired. Also, there is the occasional lapse into the 21st century as far as the narrative, which breaks the spell a book like this is supposed to cast. For example, I believe that at one point the narrative describes a character's realization as having made "the light bulb go on". Huh? 1659? That may be a function of the translation. I don't know. Having said that, the book does not read / listen as something that's been translated. The performance is also very good. I like Grover Gardner, although I still can't stop comparing him Frank Muller because of all the Stephen King books I've listened to. Frank was cool. Anyway, it wasn't bad, but I don't think I'll listen to the rest of the series. Scary... that I spent that much time on this book! This book just didn't do it for me. It came off more like a made-for-TV movie you'd see on the Lifetime network or something. I didn't find the story lines or situations to be especially suspenseful or scary. Relationships between the characters were stereotypical and trite. Too much of the book went on with the supernatural occurrences being treated as things that just happened, with no real exploration or back story. 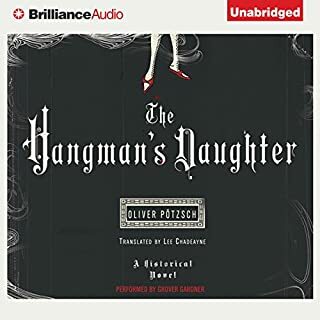 The narration was passable, although some male narrators just don't sound right when they are voicing female characters. I think Peter is one of those narrators. It's probably the combination of the gruffness and the higher pitch he uses with these characters. Looking over the reviews for this book, I see some frustration at the lack of resolution, how the book never "went anywhere", etc. 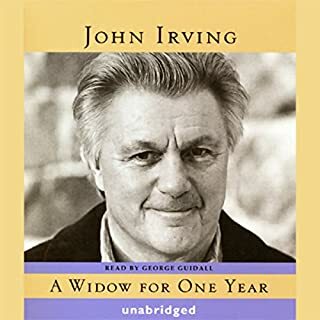 That's John Irving. 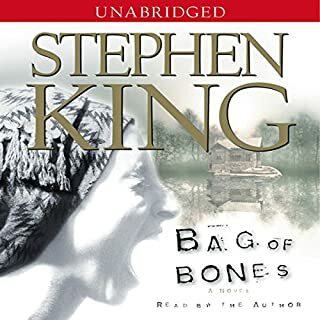 When I download one of his books, I know I am in for a lot of entertaining character development, interesting, interconnected vignettes and the like, but that I may not be getting a big tidy story arc or a punchline. It's still great listening, in my opinion! When I first heard George Guidall years ago, I thought I might not be a fan because his voice has a grandfatherly characteristic to it that I felt might be hard to overcome when voicing younger or female characters, but I've come around on that opinion. He's narrated some of my favorites and seems like an old friend at this point. I almost passed on this book based on the comments concerning the audio problems. There is certainly the occasional clipped word, but they are few and far between. I didn't find it distracting, and missed none of the story. It's tough to say too much without saying too much, if you know what I mean. From a writing perspective, it's always great when an author who can string a nice sentence together ventures into this genre. That's what we have here. The writing is descriptive and lends atmosphere without ever detracting from the story line. Very well done. The narrator gets top marks, too. The cast of characters could have easily overwhelmed a lesser performer, but he nails it!